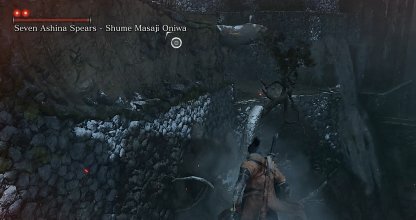 Check out this Sekiro: Shadows Die Twice guide for the Ashina Castle ~ vs. 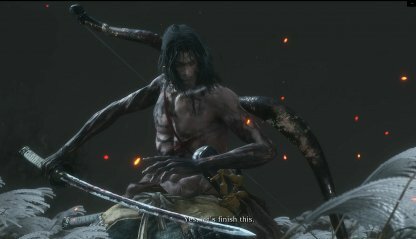 Sword Saint Isshin area walkthrough and the ending of the main story. This includes tips & tricks, boss fight guides, and more! Choose which items to give to Kuro. 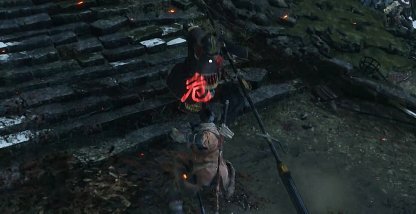 At the area where the building you need to enter in is, there will be a Shinobi and an Ashina Warrior battling. Don't jump into the fight. Instead wait out for the victor who you can then assassinate. 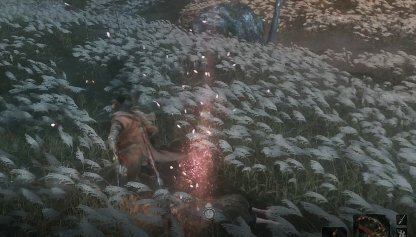 You can skip the fight against Seven Ashina Spears if you ignore him and instead head for the branch at the cliff. Grappling away will get you out of his range! Check Out How To Beat Shume Masaji Oniwa Here! 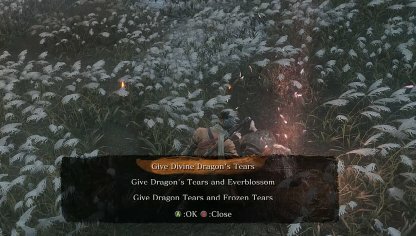 As Kuro's dying, you'll be given the choice on which key items to give him. This will determine what ending that you will get. Only the items that you were able to procure will show up. You're free to leave the conversation with Kuro and head out into the world if you need to. This will give you a chance to gather missing key items for the ending. Do note that depending on your progression, some of the key items will be locked out. 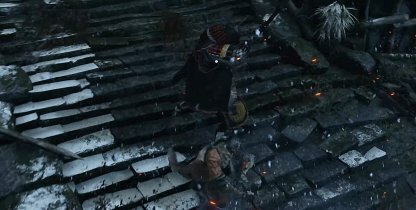 Oniwa will have an ally right next to him that will also fight you when alerted. You can use him to your advantage by doing an Assassination Deathblow and the Puppeteer Ninjutsu to turn him against Oniwa. Oniwa and his ally will be looking at different directions, making it a challenging to sneak up on them. With Gachiin's SUgar, you'll be able to sneak around them and deal a Deathblow before being noticed. Oniwa will focus on which enemy will be attacking him. Whenever he has his sights on his ally, go behind him and get in a few strikes. When he turns to you, the ally will then be able to hit him. The best way to escape Oniwa's Sweep Perilous Attack is by simply jumping up. As you go down, you can sneak in a few hits on him before he gets his bearings. Using Mikiri Counter against Oniwa won't be as effective against others because he will push you back to prevent counterattacks. Remember that you're only doing the Mikiri Counter to break his posture. Whenever Oniwa does his sweep attacks, he'll be vulnerable for a few frames. Go behind him and do a few strikes, then immediately go on the defensive again as he starts to attack. 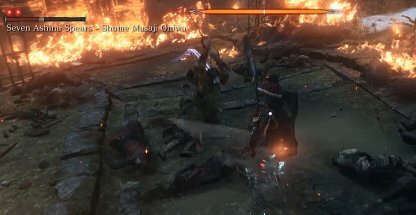 Genichiro will retain the moveset he had at the final phase of your fight against him in the Ashina Castle. Although he won't have his lightning attack, he does have a new move with the Mortal Blade. 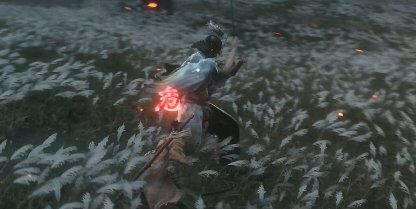 The fastest way to defeating Genichiro is by continuously bringing down his posture. As you do, sneak in a few hits to lower his health a little to make it slower for him to recover Posture. 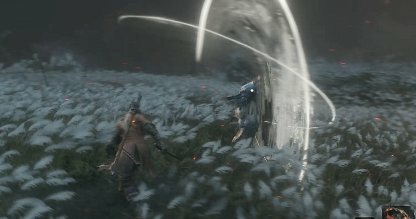 If you see Genichiro holding on the hilt of his sword, run back! This is the starting animation for his unblockable Mortal Blade strike. The move has a long range so it's best to run back as much as possible to escape it. Upon releasing his sword from its hilt, Isshin will rush forward and do 2 overhead strikes. Run back a bit to escape its range, but as he releases the attack, circle around him and attack from his back! 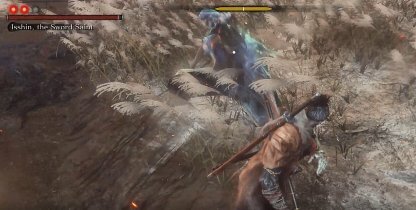 When Isshin does a stance with air circling his sword, dodge to the side to escape the double vertical shockwave he'll release. This will also give you a chance to attack him as he'll be locked into the animation during the attack. 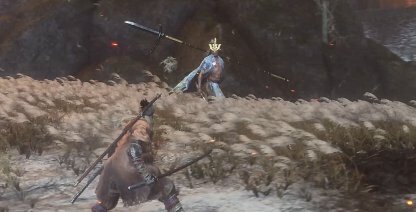 When you see Isshin in a stance with air circling the hilt of his sword, create distance between you and jump when he releases the circular shockwave attack. Run back to close the distance between you and Isshin as soon as the attack is over. One of Isshin's biggest opening is when he does his thrust move that you can easily Mikiri Counter. He'll be stunned for a second after, giving you time to attack him! 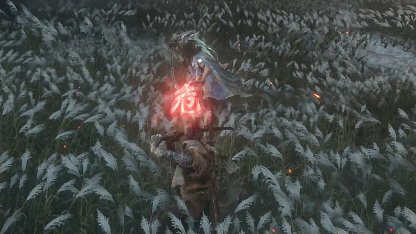 Isshin will circle you and do a Thrust Attack that due to its timing can be hard to Mikiri Counter. 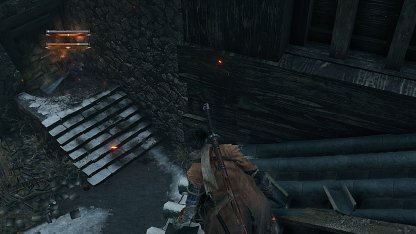 You can instead dodge to the side and attack him from there. Isshin will bring out a spear and a pistol that he will start to use from this phase onwards. The new weapons, along with his katana, greatly changes his moveset, combos, and overall range. 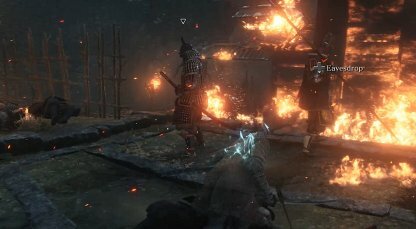 With his new spear and pistol, Isshin will become more aggressive in the second phase. 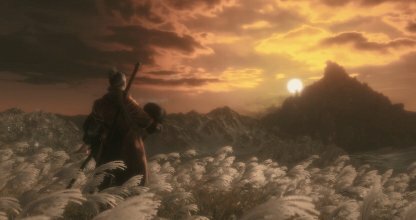 Stay on the defensive and focus on parrying his moves rather than attacking. When away from Isshin or while waiting for his attack, keep up your guard to lower your posture damage. This will ensure that when you do engage, you're posture won't break in the middle of it. 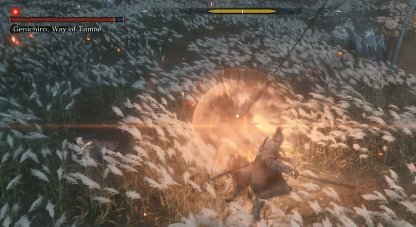 Isshin's biggest opening is in his Spear Thrust Attack that you can easily Mikiri Counter. The Mikiri Counter will do damage to his posture and while he's stunned, you can attack him to lower his vitality. 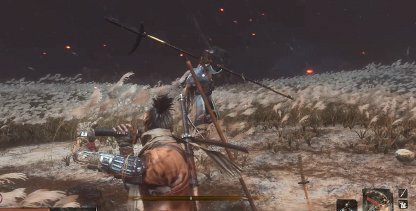 Similar to what he does in the first phase, Isshin will have a circular shockwave attack, but this time its range will be longer as it's done with the spear. 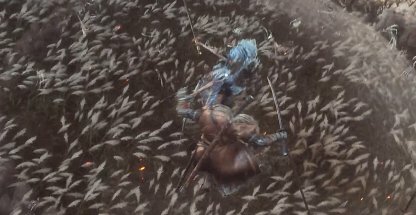 When he starts a stance with air surrounding his spear, start to move away from him. The Circular Sweep Attack cannot be parried or blocked, but you can jump up to escape it. When you see Isshin start to swing his sword, immediately jump up to not get hit with the Perilous Attack. 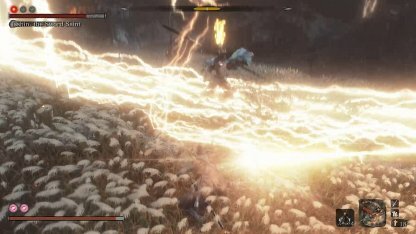 By the third phase, Isshin will have a new lightning attack to throw at you. You can return the lightning back at him by jumping up during the lightning attack, then pressing your attack button! This will do a ton of damage to Isshin and stun him for a few seconds.